We had a fun week this week...busy, but fun! We had a great trip to the pumpkin patch! Thanks to all my parents for your help! We also learned all about pumpkins...the life cycle of a pumpkin, what they need to grow, what are they good for, and much more. 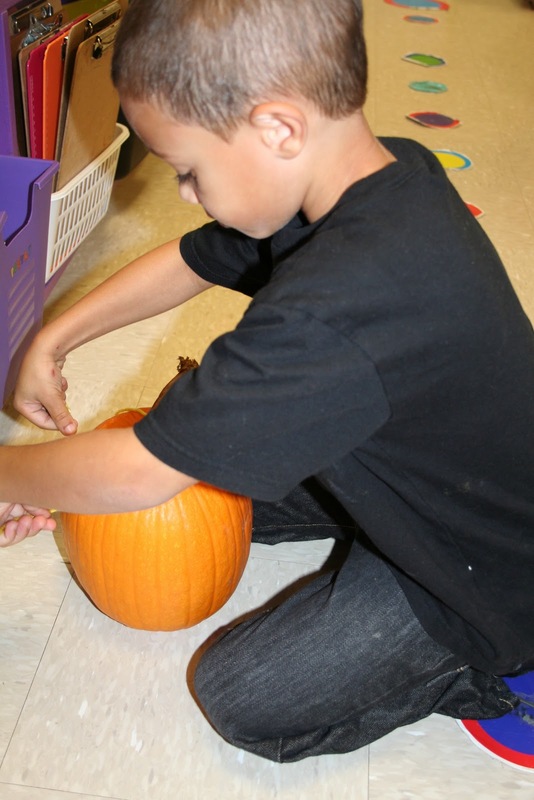 We investigated our class pumpkin that we got at the pumpkin patch. 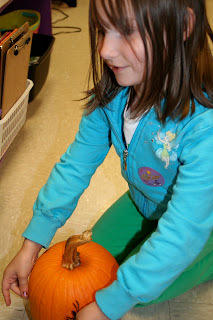 Most students "thought" it would sink, but we found out that pumpkins float whether they are big or small. We started estimation this month, and we had some great estimations about how tall our pumpkin would be and the circumference of our pumpkin. A few actually had perfect estimations. If you have never read Too Many Pumpkins, it's a must read. So cute! One of my favorites. It's great to teach making predictions because most of the pages end with "until...". We filled in our story map after reading the story. Ditto on the emailing! I was just going to ask you the same thing!! mandygraham311@yahoo.com... please let me know either way, so I can try and recreate it if you cant! Thank you for such a visually pleasing, idea rich blog! It inspires me! Hi, just like your apple investigation sheet, this one is perfect too! If you are willing to share- flaca33143@aol.com Thank you so much! Hi there! I love you pumpkin investigation! I just downloaded you apple investigation! Id there a way I could receive you pumpkin investigation? 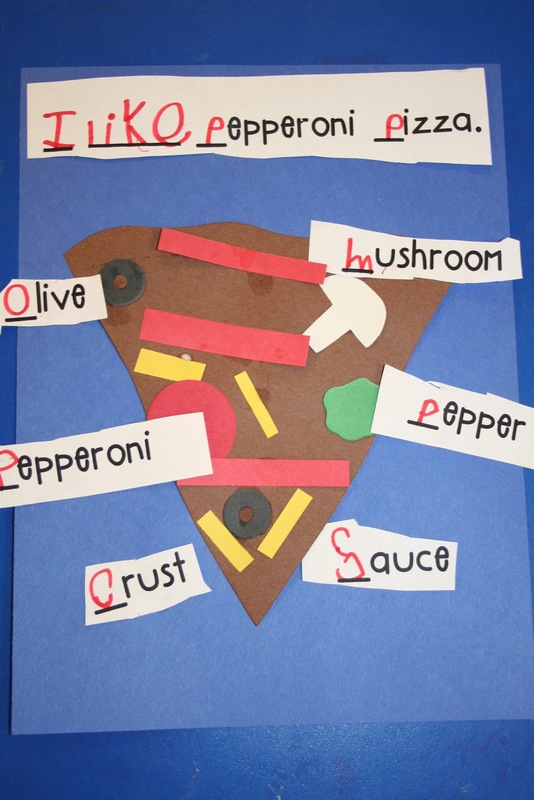 I am new to kindergarten and would like to see any documents that could help me! 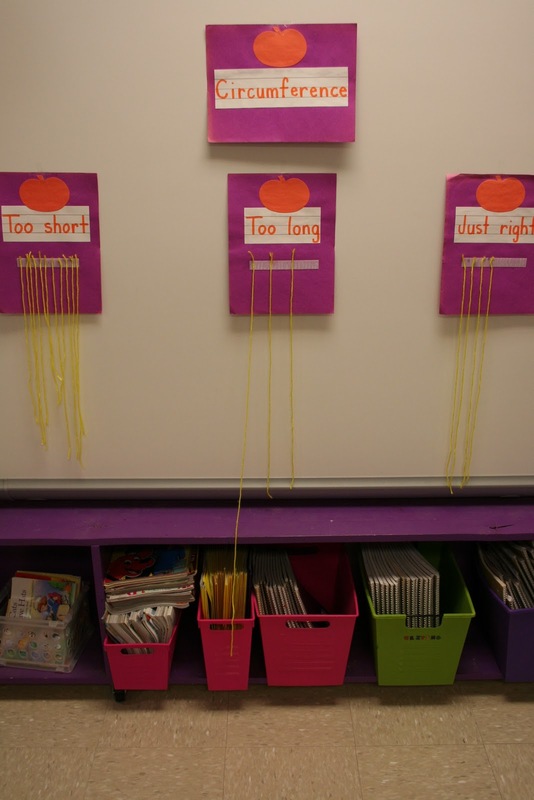 Are you still sharing your apple and pumpkin investigation sheets? I would appreciate a copy if you are! Thanks! Found your blog through pinterest. I LOVE your pumpkin investigation sheet. Is there a way you can share it? Would you be willing to share your pumpkin investigation sheet? I know many people have requested it. 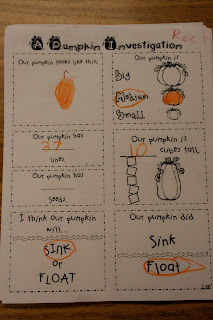 I have found your Pumpkin investigation sheet through Pinterest and I LOVE it! The other ones I have used in the past were too big and wordy. Yours is perfect! Would you be willing to share it with me? I would love the pumpkin investigation sheet too. I love your site! Do you have a TPT site? I would love a copy of your apple and pumpkin investigation! I am currently doing my student teaching in Kinder. Thanks so much! I love your pumpkin investigtion sheet. It goes perfect with our pumpkin patch field trip and unit. Would you be willing to share? Thanks so much! 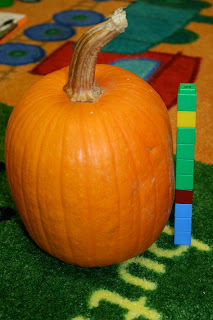 I have posted the pumpkin investigation sheet under the "freebies" label on my sidebar. You can download it there. Thanks! where did you pumpkin life cycle pictures come from ??? Can you share your pumpkin investigation with me? Thank you! Can you share your pumpkin activities? I would appreciate your apple and pumpkin worksheets as well. They are wonderful! I would love if you would share your pumpkin investigation sheet with me as well! It's just what I was looking for! 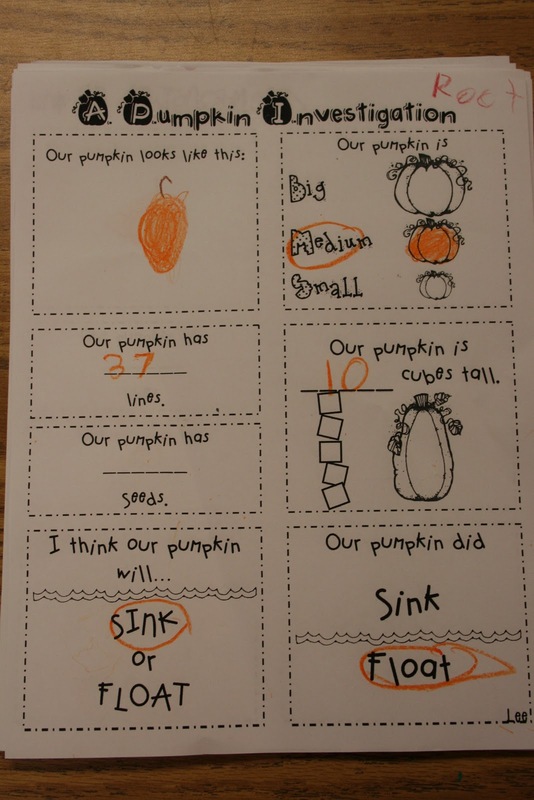 I would love a copy of your pumpkin investigation sheet as well for my grade 1's. Perfect for their level. Hi! I love your blog and have it bookmarked to keep reading! We are visiting the pumpkin patch/apple orchard in the next couple weeks and I would also love a copy of your investigation if possible. Thanks again and I will definitely keep reading! Could you please email me with the Pumpkin Investigation paper as well? 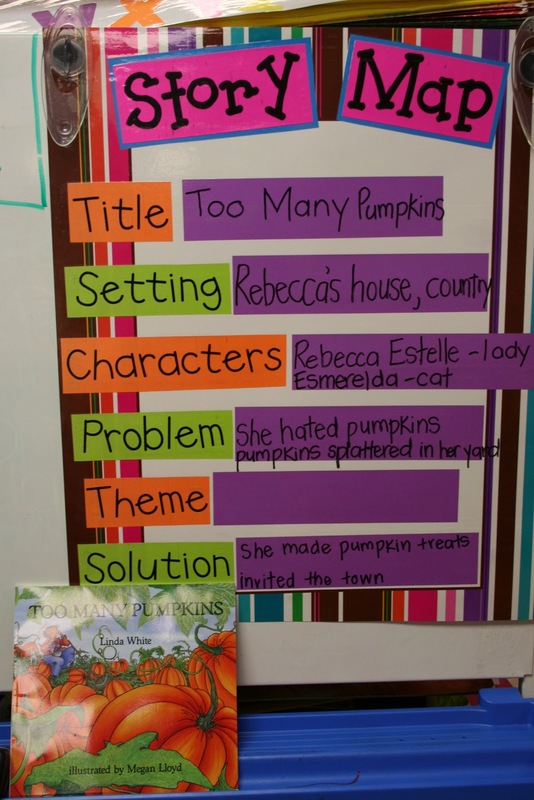 I would love to that next week with my class for our pumpkin theme! Thank you so much. Could you please send me the pumpkin investigation also. I would really appreciate it. Thanks!! I also loved your pumpkin investigation! this wonderful activity with my fall unit!! I look forward to you blog weekly. Could you email me that great pumpkin investigation? I would also love an email of your pumpkin investigation. I love it! I love your website! I would like your pumpkin investigation sheet. Can you please email it to me. Thanks so much! please send to hunterde@email.sc.edu if willing to share! So creative! Would love the pumpkin and the apple investigation sheets. The life cycle of the pumpkin would be great too! I love all the ideas. I would love a copy of the pumpkin investigation. faglie04@yahoo.com Thank you so very much! These ideas are great. I would love a copy of the pumpkin investigation along with the apple investigation pages. Do you have the Pumpkin Investigation Sheet to print/download? So cute! Thanks! I love all of the ideas! I would love a copy of the pumpkin investigation, apple investigation, and the life cycle of a pumpkin. I just discovered your blog while looking for pumpkin information. I love your investigation sheet. If you are willing to share, could you email it to me at melanie.klugh@gmail.com? I would greatly appreciate it. I looked you up on TPT. Can't wait to get some of your stuff. Awesome job! Unlike everyone else...I'm wondering where/how you made your scarecrow to go with There Was an Old Lady Who Wasn't Afraid of Anything book! My students LOVE that book and I think this would be amazing for them to do! Thanks!! Do you have the Pumpkin Investigation Sheet to print/download? It is so cute! I love it! Thanks! I would love the pumkin investigation sheet as well! Also where did you get the life cycle for coloring? Does anyone have a copy of the pumpkin investigation sheet? I would love to have it. Cute ideas! Is there anyway I could get a copy of your Life Cycle of a Pumpkin worksheets? I teach special ed and the pictures are by far the best visuals I've come across. Could you possibly email it to me? erin.elizabeth.reynolds@gmail.com Thanks so much! If possible, I would love a copy of your pumpkin investigation sheet. I actually found it on an older post on your blog as a freebie. However, when I was redirected to the scribd site to download it, I was not able to download it without paying to join their site. I would appreciate it if you could email it to me! I love your blog! I would love to download your pumpkin sheet, and the cards that show the lifecycle. How can I go about that without a Scribd membership? Thank you for your hard work putting these together, and for your graciousness in posting for all to see! I love your blog and all your great ideas. I bought your pumpkin unit. :)AND LOVE IT! Do you have the lifecyle and pumpkin investigation papers. I would love a copy! Thanks for all you do! I would also love a copy of the pumpkin and apple investigation and life cycle downloads if you are still willing to share them. Also, I see you have a whole pumpkin unit? Where can I get that? Would I be able to have a copy of your pumpkin investigation sheet and your life cycle of a pumpkin cards? My email address is robinelsass@yahoo.com Thanks! Hi, I love your pumpkin investigation sheet. Are you still able to share it? If so, please send it to lpmwong@shaw.ca . Much appreciated! Please send investigation sheet to me too. clymert@scsk12.org. One day I am going to update my blog. Maybe fall break. I want to share and give back as well. can you please email me your observation and life cycle shhet please! Could I please get the sequencing cards? I love your pumpkin activities! Can you email the sequencing sheet and the pumpkin investigation sheet? I'd love to use them? 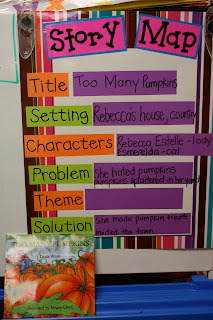 I would love to have the pumpkin investigation and the sequencing sheet as well. These are very good activities. Thank you in advance if you are willing to email and share them with us. Can I please get a copy of the pumpkin investigations and the pumpkin life cycle? thank you. I would love to do this with my Kinders! Can I please get a copy of the pumpkin investigations and the pumpkin life cycle? Thanks so much for your time! WOW! So much for FREE> You need to sign up for something to get this so called FREEBIE! This is now in my TPT store for FREE. This was a freebie that is no longer available through the link above. This original post was made 5 years ago...hence why the link is invalid. I can't update every blog post ever made with new links. Sorry!